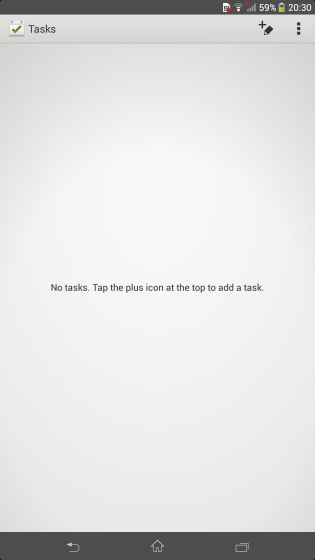 Sony Mobile has begun to roll out a new app called ‘Tasks’ to the Xperia Z1 and the Xperia Z Ultra. 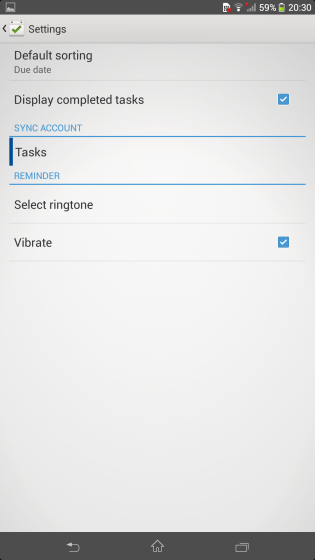 As the name suggests, Tasks allows you to create and synchronise Exchange to-do lists and reminders. 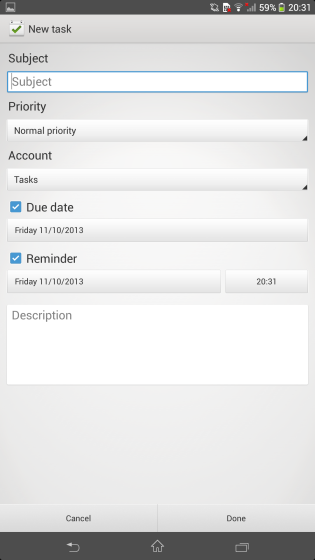 Tasks 1.0.A.0.1 can create subjects with different priorities and you can add due dates and reminders. 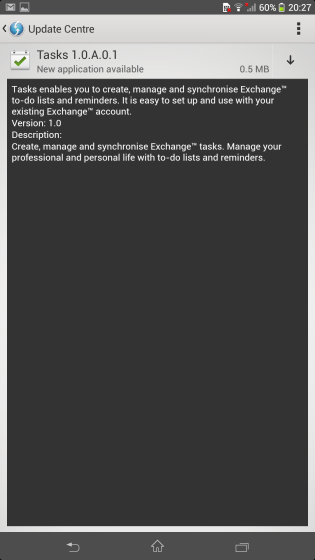 You should be able to download the app in the ‘Update Centre’ app. Thanks Anurag, David and Micro!